The Learning Center is on the 1st floor of the Ron E. Lewis Library. We encourage you make an appointment with a tutor, but walk-ins are welcome. When you arrive, please check-in with your LSCO student ID. To help us serve you best, bring a copy of your assignment and any necessary texts and materials. We will do our best to answer your questions or help you locate the resources you need. Call the Learning Center at 409-882-3373 to ask a question, offer a comment, or inquire about tutoring in a particular subject. You may also submit questions. Please provide comments/suggestions to help us improve our services. Contact information for individual Learning Center staff members is found here. Up-to-date computers and printers, including a color printer, scanners, and CD burners. Internet access, modern browsers (Firefox, IE, Edge, Chrome), MS Office Suite on all PCs, plus other software required for various LSCO courses. DaVinci HD/OCR enhanced vision device. Friendly assistance with assignments using computers. 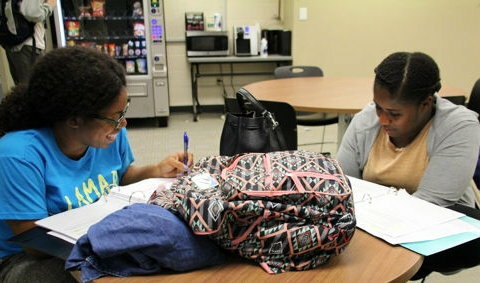 Individualized tutoring is available in writing, math, reading, computer applications, and other subjects requested by our students. This page provides an overview of our services, plus a number of links to resources students may find helpful. Public Speaking for College and Career, 7th ed., by Gregory -- companion website for text. AmericanRhetoric.com -- features an audio "speech bank" of famous American speeches. The Open Textbook Library offers free resources for literature, rhetoric, and poetry. WeUseMath.org -- a non-profit website describing the importance of mathematics and many rewarding math career opportunities; created by the BYU Mathematics Dept. American Mathematical Association of Two-Year Colleges (AMATYC) -- a national organization devoted to providing a forum for the improvement of mathematics instruction in the first two years of college. The Open Textbook Library offers free resources for mathematics. OpenStax College Physics resources for students and instructors; includes a free physics textbook to view on the web or download in PDF format. Physics Concept Trailers are available on YouTube. Geology.com -- geology information, articles, and maps. SI Units -- Physical Measurement Laboratory: Weights and Measures, National Institute of Standards and Technology (NIST). Metric Units Conversion Tables (PDF) -- available from the International Society for Automation. Spanish -- supplementary exercises & audio to accompany Dos mundos: Comunicación y comunidad, 7th ed., by Terrell, et al. LiveMocha.com -- an online community of language learners, interactive activities, 35 languages; free to join. Duolingo -- a game-based learning app for a variety of languages; free download. Babylon Online Dictionaries -- free language and subject dictionaries. Open Culture -- a collection of free cultural and educational media, including texts, video, audio, and online courses. The Open Textbook Library offers free resources for languages and philosophy. MusicTheory.net -- online lessons, exercises, and tools for music study; apps for iPhone and iPad. Smarthistory.org, presented by Khan Academy -- a free, multi-media art history web-book. Theater History on the Web -- a resource for theater historians and students of the theater's history. The Open Textbook Library offers free resources for arts. The Unfinished Nation: A Concise History of the American People, 3rd ed., by Alan Brinkley. See Online Learning Center, student edition for free study aids. Free texts from OpenStax.org include U.S. History and US History Since 1877. University Press of North Georgia offers the free text, History in the Making A History of the People of the United States of America to 1877. Stories of the Underground Railroad is a public domain children's book containing biographical stories. Sage American History: A Survey of America's Past is designed for use by undergraduate college, community college, and high school teachers and students. USHistory.org is a collection of educational resources, including multimedia and free online history textbooks, provided by the Independence Hall Association. The Open Textbook Library offers free resources for history. WhiteHouse.gov -- official site of the United States White House. U.S. National Archives and Records Administration -- search public/historical archives; view online exhibits; access teachers' resources. OpenStax.org offers a free textbook titled American Government. The Open Textbook Library offers free social sciences resources, including psychology and sociology. GetBodySmart: Anatomy & Physiology -- an online interactive exploration of the structures and functions of the human body. Principles of Anatomy and Physiology, 12th ed., by Tortora & Derrickson -- student companion website. Nutrition -- companion sites for various editions of Pearson Education nutrition textbooks by Thompson & Manore. ChooseMyPlate.gov -- nutritional information and resources, including the SuperTracker dietary analysis tool. Pearson-MyHealthProfessionsKit -- create a free account to access the companion website for Anatomy, Physiology, & Disease: An Interactive Journey for Health Professions, 2nd ed. Click the "Browse by Discipline" drop-down menu and select "Basic Health Science." Click "Register and Log In" for your text to access study materials and interactive resources. Pharmacology Math for the Practical Nurse -- free tutorials, including solutions for problem sets, organized as a web-book (from Integrated publishing); access web-book in PDF format. Drug Calculations Quiz Page -- free online quizzes and help for metric conversions, tablet dosage calculations, fluid dosage calculations, and IV drop rate calculations from testandcalc.com. Texas Education Agency (TEA) -- information on Texas educator preparation, test preparation and registration, directory of approved teacher certification programs, and free certification test prep. materials, including downloadable manuals, interactive practice tests, and videos. Study.com TExES test prep includes technical information on the exams (e.g. policies, cost, eligibility, test dates), study guides and practice tests (some free material, in addition to paid subscription services), plus three Study.com scholarships available to candidates taking TExEs exams. Study Guides and Strategies -- learning and study advice for reading/research, writing, math, time management, etc. OnlineCourses.com -- a directory of open college courses from MIT, Harvard, Princeton and other leading institutions of higher learning. Free content includes videos, audio lectures, notes, and other resources. iTunes U -- a free app for iPad, iPhone, and iPod that provides access to an online catalog of free education content from leading institutions. MIT Open Courseware (OCW) -- a web-based publication of virtually all MIT course content made freely available to the world. Educause Library (MOOC) -- information about what Massive Open Online Courses (MOOCs) are and their role in education. Class Central -- a free aggregator for finding MOOCs offered via Coursera, Udacity, edX, NovoED, and others. Search by topic of study. MOOCs.co -- global directory of MOOC providers and resources in higher education, K-12, professional development, corporate training, and more. Khan Academy -- video tutorials & exercises on various subjects; create a free account to track your progress. GCFLearnFree.org -- tutorials for enhancing technology, literacy, and basic math skills. OpenStax College -- a nonprofit initiative of Rice University committed to improving student access to quality learning materials, such as free peer-reviewed textbooks written by professional content developers. Open Textbook Library -- free to use and distribute, open textbooks are licensed to be freely adapted or changed with proper attribution. Many have been reviewed by faculty from Open Textbook Network member institutions. College for All Texans -- a project of the Texas Higher Education Coordinating Board. College Source Online -- database of digital college catalogs. Test of Online Learning Success from Northwest Arkansas Community College. OLOT - Online Learning Orientation Tool from Michigan Virtual. Merlot offers a collection of self-administered assessments of student readiness for online learning. 7 Easy Steps to the FAFSA -- Free Application for Federal Student Aid -- an interactive video tutorial. The FAFSA in 7 Easy Steps (Video) -- on TED-Ed. The Open Textbook Library offers free resources on college success. March 2 Success -- A public service from the Department of the Army and US Army Recruiting Command. Includes an online study program to help students prepare for standardized tests (college entrance, ACT/SAT, STEM, health professions, and more), along with guides for getting into and paying for college. DigitalLiteracy.gov - Basic Computing -- a list of free online resources for learning about computing. GCFLearnFree.org/computers -- free training in basic computer skills and Microsoft Office programs from Goodwill Community Foundation, Inc.
Computer Hope -- free help (via forums, chat, & email), tips, dictionary, and links to more technology information. Home & Learn Free Computer Tutorials -- beginners' computing, Microsoft Office, web design, Visual Basic, Java, and more. Sense-Lang.org -- free skill level test, typing tutorials, and games. GoodTyping.com -- 27 guided lessons; use as a guest or create a free account to store progress. AlfaTyping.com -- create a free user account to store lesson results or share scores on Facebook. 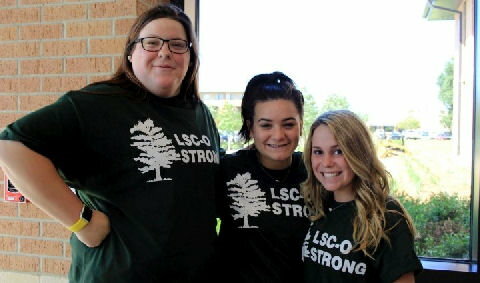 LSCO Career Center -- career planning and placement information. 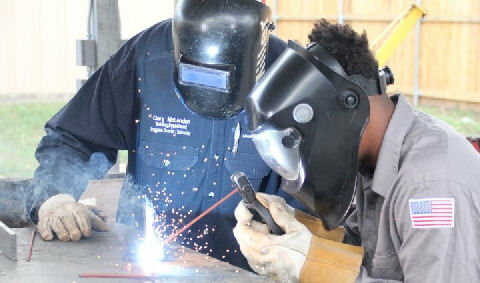 MyNextMove.org -- explore careers according to interests and training required. ResumeTemplates.org -- free resume and cover letter templates, writing tips, and an interview guide. GCFLearnFree.org/career -- tutorials on resumes, job searching, interviewing, and more. Careers after College and Job Offers: How to Navigate and Nail Your First Job Offer after Graduation -- guidance on how the workplace operates, how to evaluate and compare job offers, how to negotiate salary, and how to accept or decline a position. Online Educational Resources for Kids and Teens -- a collection of links shared with students attending LSCO's Kids-2-College Summer Camp. GOALS (Greater Orange Area Literacy Services) basic adult education and free GED classes--see flyer with hours and map (PDF). Portal to Texas History -- maintained by the University of North Texas Libraries' Digital Projects Unit. Worldometers -- real time world statistics on population, government, economics, etc. Internet Archive (archive.org) -- free internet library of digital content, including texts, images, video, software, and archived web pages. 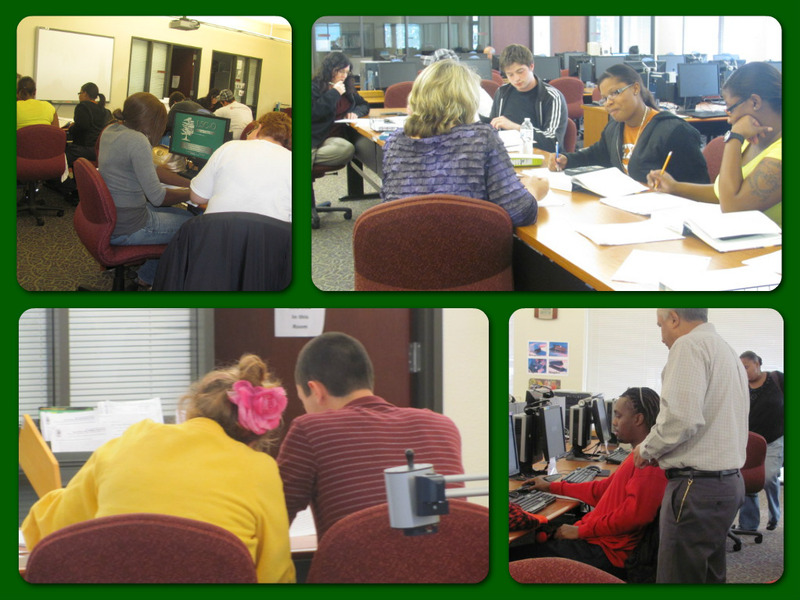 Comments or questions: Call 409-882-3373 for the main lab or email learning.center@lsco.edu. You may also contact individual staff members.